Leica ASP300S Enclosed Automated Vacuum Tissue Processor Histology Pathology . New Life Scientific, Inc. Fully tested with a water cycle. This system is in great cosmetic condition. 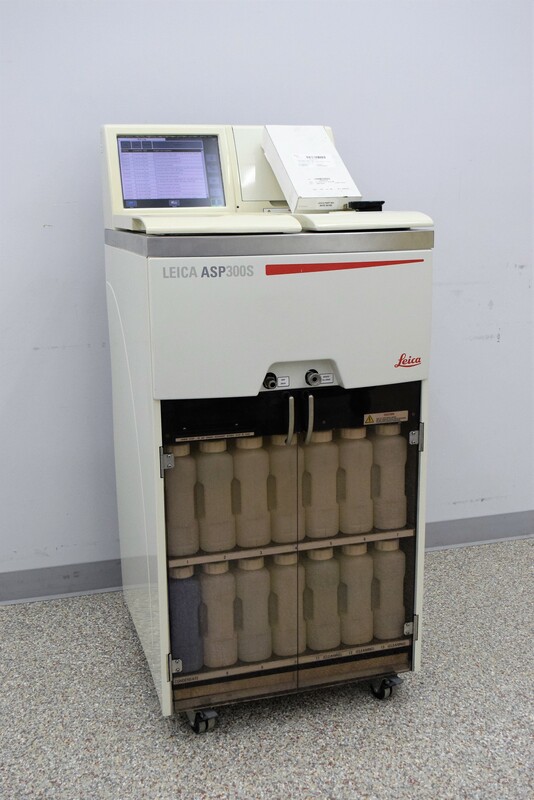 The Leica is a stand-alone, fully enclosed system for processing of up to 300 cassette embedded samples. Our in-house technicians did a visual inspection and fully tested with a cycle of water. From the run log screen it appears this was installed 2012 and ran through August 2013. This is a very clean system with low miles on it. To the best of our knowledge this system was only used for a year or a little more than a year. Refurbished means that our technicians have taken steps to test the instrument and ensure that it is running to manufacturer specifications. They may have had to replace or repair components. Often, they may have serviced it (Like with our tissue processors), leaving it in better shape then when it arrived. For details, check the listings text. We do not list equipment as refurbished if it does not reach manufacturer’s specifications or is not in excellent cosmetic condition considering its age.